From What if….. to What’s Next? It has taken a month, but I’m finally ready to put pen to paper, or in this case fingertips to keyboard and begin to document our GENTLE journey. As a result of the Canadian government’s response to the Syrian refugee crisis, two months ago, Denise Taylor Edwards and Melanie Ferdinand started a conversation with a “What if…..” scenario, as they anticipated a significant influx of newcomer Syrian families in Thames Valley. What if….. we looked at a family wrap around welcome program? What if…..we combined ESL and Social work services from our initial meeting with families? What if….we expanded our current model of Secondary assessment and reception to include the whole family? What if….we provided a space for school readiness activities, as well as literacy and numeracy assessments? From those “What if” questions, GENTLE (Guided Entry to New Teaching and Learning Experiences) was launched and now our newcomer families are provided with a wrap-around reception plan which is responsive, caring and ever changing to meet the needs of both our ELLs and their families. During the last two months, we haven’t looked backwards once, nor have we regretted our decision ~ if anything we are asking ourselves why it took so long to revamp and re-envision our way of welcoming newcomer families. To try and isolate the reasons for GENTLE’s success is impossible. But that is the only “impossibility” that is associated with this project. In my career, I have not had the privilege of being involved in a project that has had such far reaching tentacles, both within our school board and within the community. Within the Board, there has not been a department or portfolio that hasn’t been involved in one way or another from Finance to Facility, from HR to transportation and from Graphic Arts to IT. Shout outs for backpack supplies were answered with over flowing boxes of resources within days. We needed a bus and we had one the next day. We needed tables, chairs and easels and our Thames Valley family willingly shared. This past week a teacher shared a story of a class who is in the midst of creating a video about how to dress for winter to share with our students at GENTLE. Other classes have collected warm clothing. 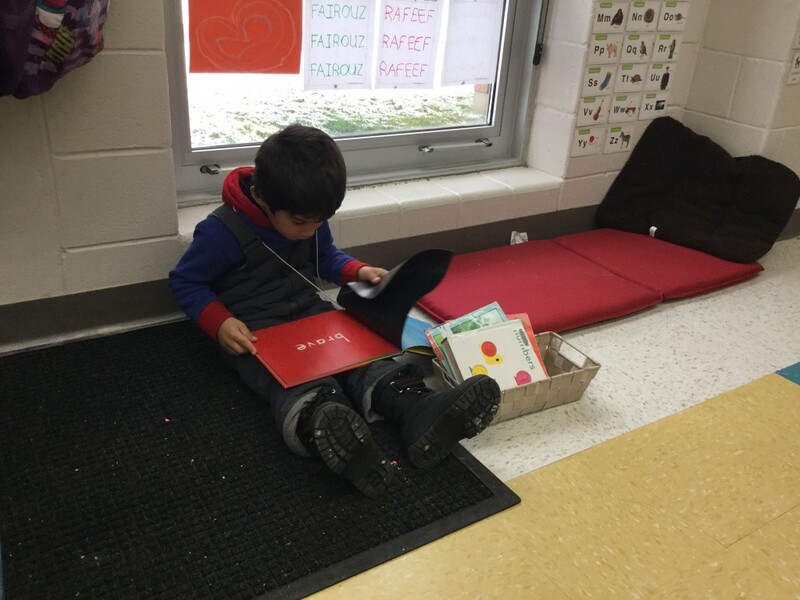 Our White Oaks students have not only opened their classrooms for us to visit, but they have brought their favourite books to our GENTLE learning environment and read with our students. For the past 5 years, we have had a strong partnership with our community agencies through SWIS-London and as a result of that strong partnerships, our daily and sometimes hourly phone calls and emails (as together we support our Government Assisted Refugee families) usually begin with “Hello my friend…..together we need to problem solve this situation” and the results have been a combined response to the needs of the families. Those supports have included evening registrations, on site parent information sessions, phone calls home to share the news of cancelled buses or changes in pick up times and check-ins for some students who may need some additional support in transitioning to their new school. Without missing a beat, my response was that I have no doubt that they will add measurable value to our school system and our community. Our newcomer families can show us a thing or two about resilience, perseverance, work ethic and incredible gratitude. 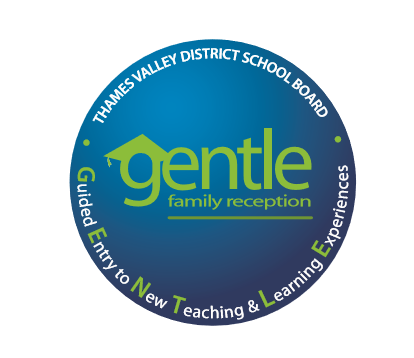 Nor do I have any doubt that the educators, volunteers and everyone else involved in this initiative will ever forget that they were responsible for the first impressions of school in Canada, in London and most importantly in Thames Valley, in an innovative, response and caring way. Their commitment to GENTLE, which includes early morning and late evening calls to families, getting up early and riding the school bus with students, facilitating the registration of 22 families in a hotel room (complete with placing beds against the wall to create space for an interview table and chairs, and persevering through a fire alarm) is one that I’m so proud to be a part of. Each individual from our admin assistant, to assessors, to classroom teachers, to volunteers, to ECEs, to Social Workers to SWIS to our interpreters knows exactly why we’re doing what we’re doing. There is no lack of vision for this crew. When a perceived obstacle presents itself, within a relatively short period of time, a solution is created and owned by all. Impossible is never an option. GENTLE’s journey is just starting. I look forward to sharing many more reflections throughout the upcoming weeks and months. How appropriate that the page says, “Brave”!